Hong Kong, 15 April 2013 - PacHosting, a Hong Kong-based hosting service provider, announced that it has partnered with CloudFlare, the web performance and security company, to deliver next generation CDN and security services to all its customers. PacHosting is one of the first hosting service providers in Hong Kong to join the CloudFlare community. Being a pioneer in the industry, PacHosting’s introduction of a content delivery network in Hong Kong, fills a great need and a gap in the market. “Hong Kong is an international city and many companies are seeking to spread their businesses globally. Activating CloudFlare boosts website load times, which in turn generates more effective leads and improves customer engagement. Websites are optimized for mobile and international traffic and bounce rates minimized, which is exactly what our clients longed for.” said Natalie Kong, the Market Analyst of PacHosting. Backed by a globally distributed content delivery network with 23 points of presence, CloudFlare help websites load twice as fast, use 60% less bandwidth and see 65% fewer requests on average. 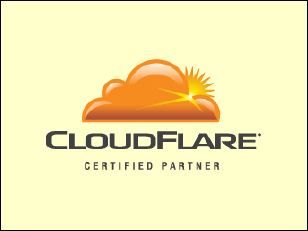 In addition to accelerating a website’s load time, CloudFlare adds a broad layer of security and DDoS protection. “This ensures our clients’ websites are protected against threats ranging from DDoS attacks, cross-site scripting and SQL injections to nuisances such as comment spam, excessive bot crawling, email harvesting, and other web spam.” Kenneth Chung, the Network Security Engineer of PacHosting is confident about this new product. “CloudFlare also features CloudFlare Analytics, which gathers up-to-date website traffic data including visitor types, threat origin, bandwidth and usage statistics. Clients gain visibility and control over website threats and traffic including ability to block visitors from a specific IP range or country. All these work together to deliver a highly flexible customer-oriented security solution to our clients.” Kenneth Chung further added. PacHosting was the first hosting service provider in Hong Kong to introduce Cloud Servers in 2010. With 11 years of experience, the company aggressively seeks different solutions to add value to its products. With the new CloudFlare CDN and security add-on, now available on PacHosting’s Cloud Servers and Virtual Private Server (VPS) , websites are supercharged with fast performance and security.